Blog Way Plus is clean, modern and minimal blog theme. This responsive theme is best to use for blog, travel, informative and lifestyle coaches. It comes with an option to change the color of the entire site, author profile widget, social links to connect with social networking sites and more. It supports Woo-commerce and can be used for perfect e-Commerce sites. 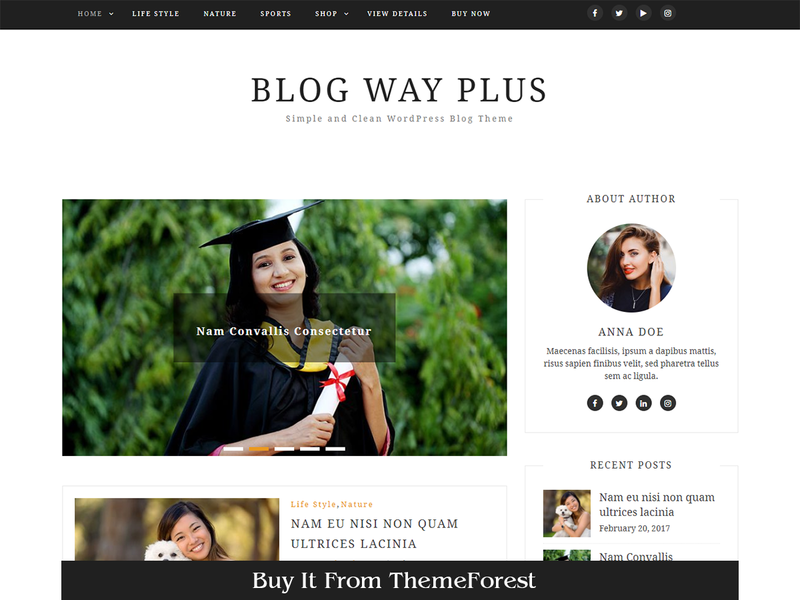 Blog Way Plus is available at themeforest. Click here to buy it.